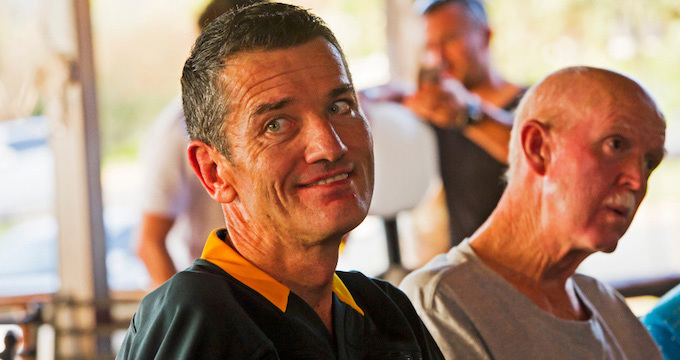 Springboks legend Joost van der Westhuizen died last week, at age 45, after a long fight with motor neuron disease. A member of the 1995 World Cup winning team, he was inducted into the International Rugby Hall of Fame in 2007 and into the IRB Hall of Fame in 2014. He was diagnosed with motor neurone disease in 2011 and lost his battle with the illness on Feb. 6. At VSAFF 2016, we screened Glory Game, a touching and inspiring documentary about Joost. It was one of the best-received films we have shown, winning Best Documentary. On behalf of the VSAFF community, we send our condolences to the family.